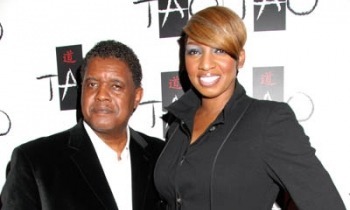 *Mixed messages are being sent regarding the relationship of NeNe and Gregg Leakes. Are they on again, off again, or what? Hey, if they were not on reality TV that dilemma would be their business, but since they are, its ours; and based on the season 5 trailers of “The Real Housewives of Atlanta,” the gossip mongers suggest the two may remarry. But then again, sources tell Sister 2 Sister no way. The couple, who has apparently been separated, are still often photographed together, and NeNe doesn’t deny she still loves her ex. “I’m in love with NeNe and she knows who, [because] I sho’ want her back and be my boo,” Gregg sings in the season 5 trailer. The season 5 trailer (watch it below) ended with a hint of some couple exchanging vows on the beach. Who could it be? Kandi Burruss and her long time beau Todd Tucker, or are the Leakes rekindling their love?